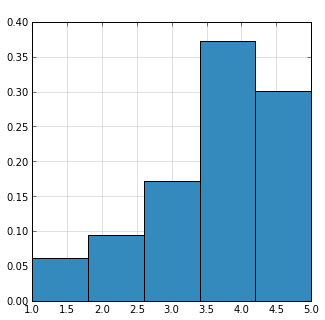 I am trying to create a histogram that will show the amount of ratings per value in a discrete star ratings (1-5). There should be a bar per value, and in the x-axis the only numbers to be shown are [1,2,3,4,5] underneath each bar (centered). Not the answer you're looking for? 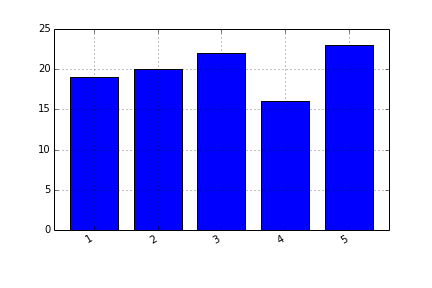 Browse other questions tagged python matplotlib pandas or ask your own question.